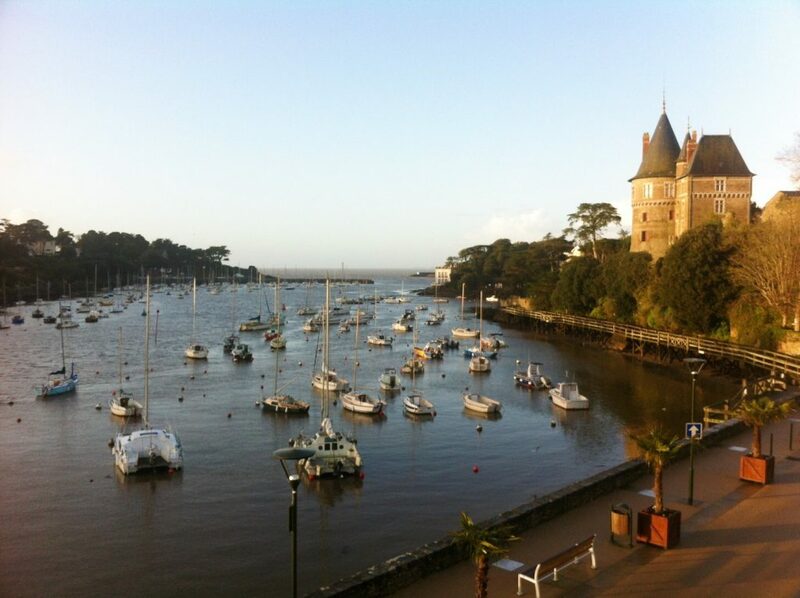 Looking for a seaside weekend in Brittany ? Pornic is a good starting point, only 3 hours by train for Paris. What to do in Pornic ? The town hosts a comfortable and affordable spa resort with plenty of relaxing activities and massages to make the most of your stay. The coast nearby is perfect to enjoy peaceful long walks along the fishermen’s cabins. In the evening, if you feel like a cocktail or a beer before or after your dinner, you can head to the spa bar. 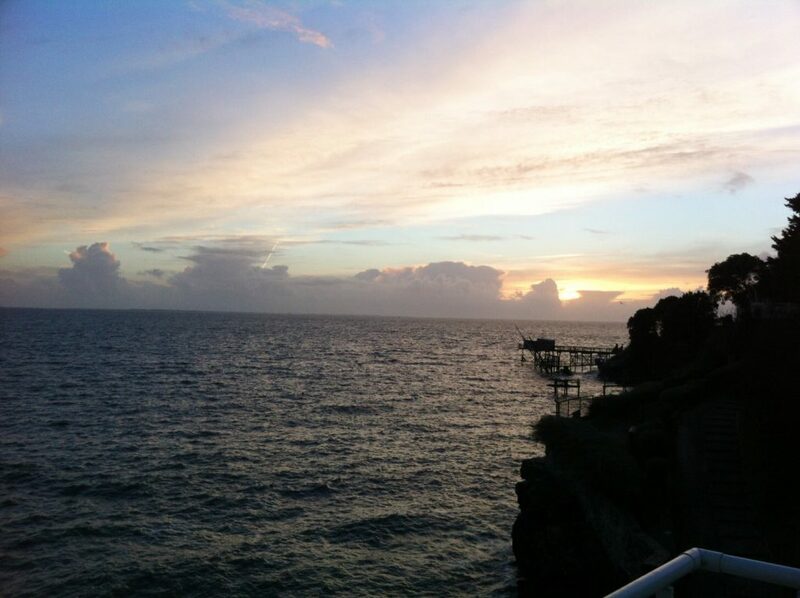 The place offers some really nice views over the ocean, a perfect spot to watch the sunset. Pornic also hosts a castle and a ceramic museum, where you can find out more about the region’s traditional artcraft. If you are looking for other fun activities in the evening, you can try the casino or pool room in the town centre. Where to eat in Pornic ? You can’t spend a weekend in Brittany without trying the local food specialty : crepes and galettes. I highly recommend going to La Sarrazine. This lovely and cosy “creperie” will make you feel right at home and offers lots of delicious options. Please make sure to book it in advance as it is very popular among locals. However, if you prefer fish, the Ana Gram is another nice restaurant in town, serving fresh fish-based meals. As for sweets and ice-creams, a must see is La Fraiseraie where you can find 65% fruit based sorbets. The house specialty is the strawberry, aka fraise in French, which is grown locally and turned into jams, sweets and ice-cream. Where to stay for a weekend in Brittany ? The Beau Soleil hotel is located only a few minutes away from the train stration. Its interior design is lovely and the staff is friendly. 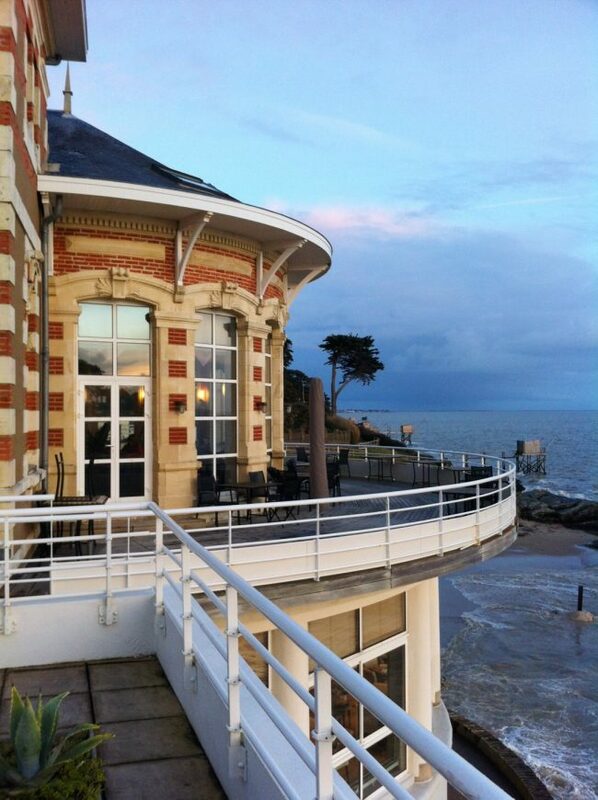 The favourite part of this place : you can enjoy a beautiful view on the harbour every morning in the breakfast room. Etretat and its cliffs are another beautiful region to explore if you are looking for a seaside getaway.